Travel with me #81 : Round up of the Beach Tower and Royal Towers at Atlantis - Which Hotel is better ? Most people start their travel bookings with an idea of where they wish to stay during their travels. 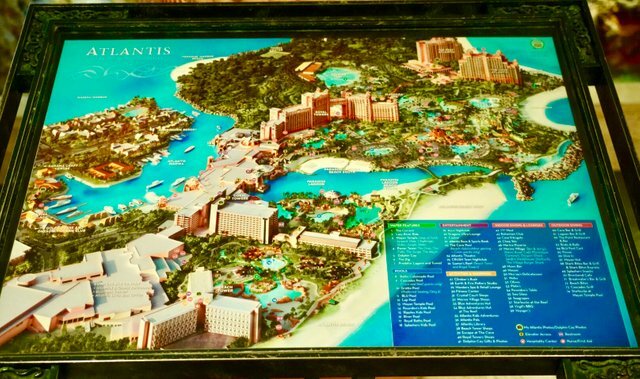 For me, travelling to the Bahamas started with the allure of the Atlantis resort. 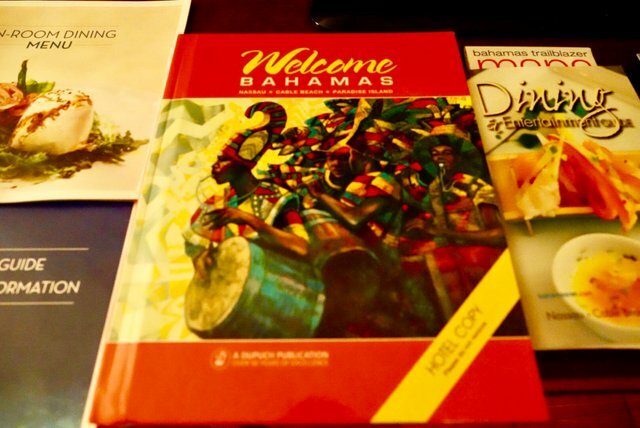 It drew a heightened curiosity which formed the core of my initial interest in Bahamas. 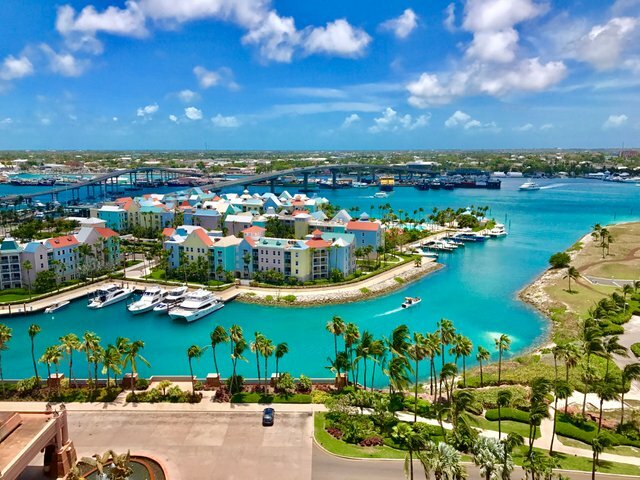 Over the course of the month, we've had so much time to explore and yet, it feels as though we barely scratched the surface of what there is to do in Bahamas. Believe it or not, I actually started my journey in Beach Tower Atlantis. 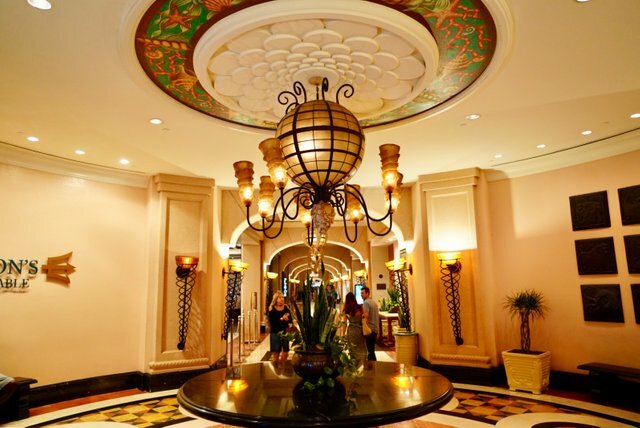 If you've read my previous blogs, then you would assume that I spent the whole time at the signature Royal Towers but actually that isn't entirely true. Today, i'd like to show you some pictures of the Beach Hotel and Royal Towers. Two neighbouring hotels in the same resort, and yet two completely different offerings each with their unique presentation and sense of style. 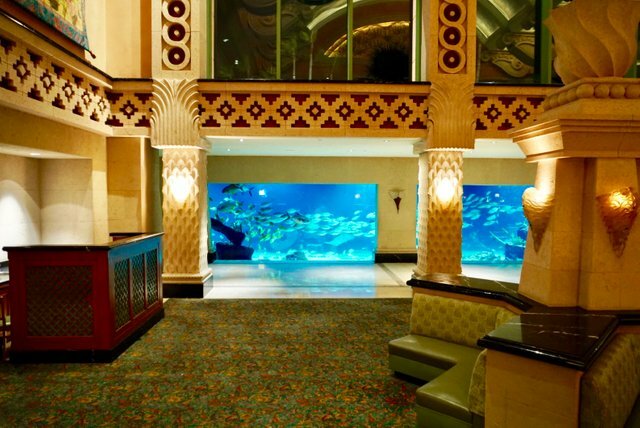 Although the entire resort is themed appropriately with the underwater lost city of Atlantis, each hotel offering has it's own unique visual aesthetic as well as level of comfort and quality. 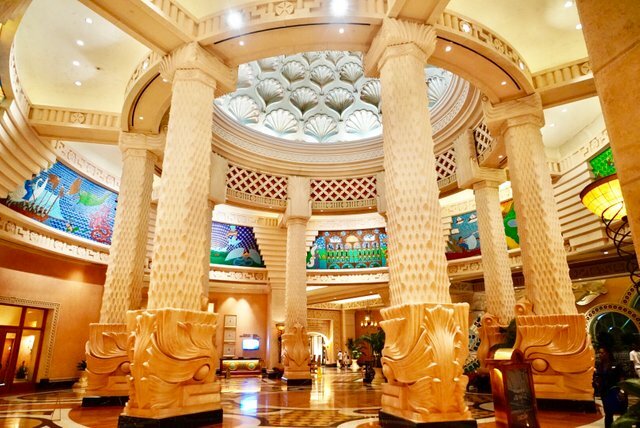 Since the Royal Towers are the signature hotel at Atlantis, you would expect it to be very grand and visually impressive. 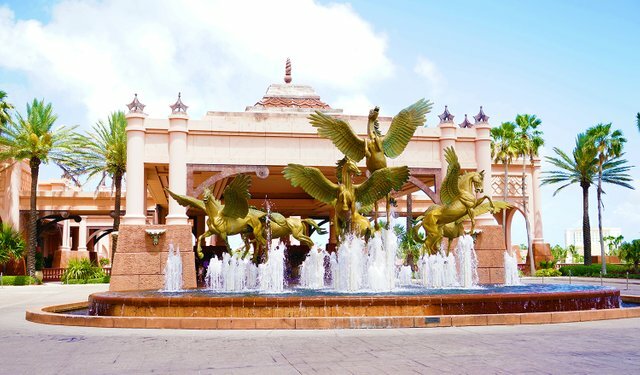 This is the drop off area for new guests and as you can see, it is decorated with the Pegasus flying horses over a water pump fountain. 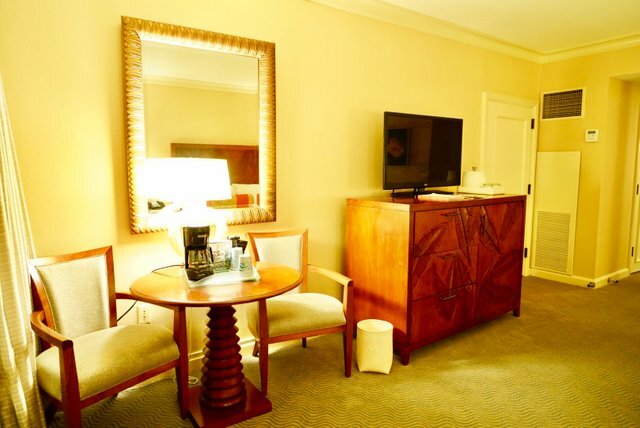 Already, the hotel sets a high precedent for the luxury and class of service it intends to provide. 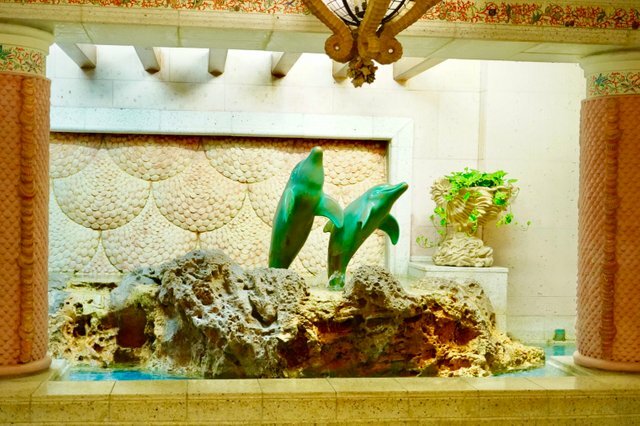 Above the main lobby, two swordfish back to back remind us that this resort is all about the marine wildlife. After exploring the marine wild life with me extensively, you must agree they have themed this extremely appropriately. The signature Royal Towers and it's ultra luxury $20,000 a night suite forming the connecting bridge between the east and west towers. 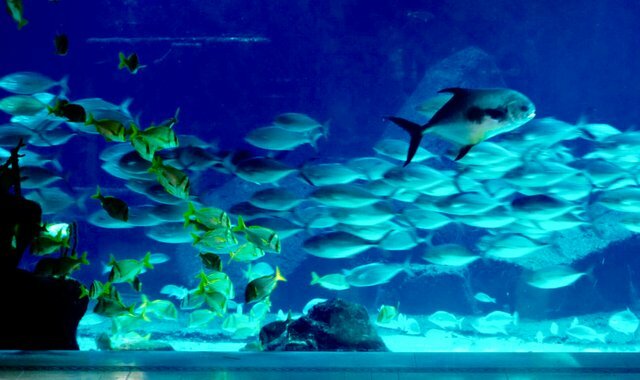 In between the towers, the aquaventure park, the open air marine aquariums, and stunning exhibits of wild vegetation. The architecture remains consistent of a recovered lost city with partial ruins used as many of the facilities. Inside this building is actually a gaming centre! Surprisingly, The Cove at Atlantis is the ultra luxury residential offering. From the outside, you can't really tell how luxurious The Cove really is. 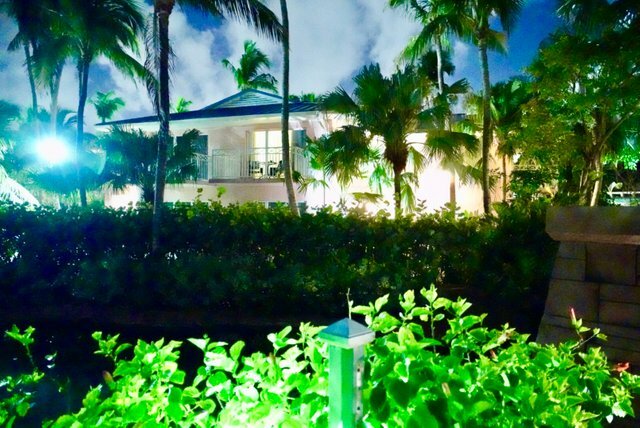 At night time, the room lights illuminate just enough of the Royal Towers showing us their grand presence, but the open air aquariums really come into their own and draw much of the attention with their own blue illumination. The marine life seem un-phased by the fact it is night time, no less because their own habitat is now one of the brightest sources of light anywhere around. From the exhibit below, we have already seen the fish swimming in a circular vortex formation. From above, it's quite difficult to see the vortex. The casino building is very much alive at night time. This is perhaps because it is the main attraction past midnight. As such, all the lights are lit up around the building which allow guests to walk around the building in well lit conditions. In fact, most of the building's edges are very well lit at night, and I suspect this is to accentuate the Atlantis theme and decoration which is ingrained into the walls / doors and bricks of the building. 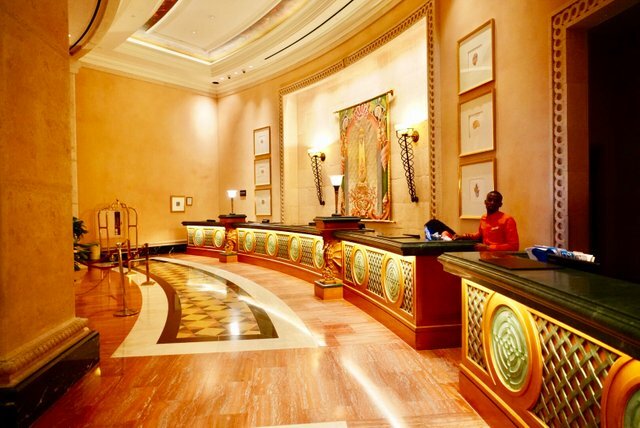 This is just one of the many scarab wall displays around the hotel. Such intricate detail, so grand in size. 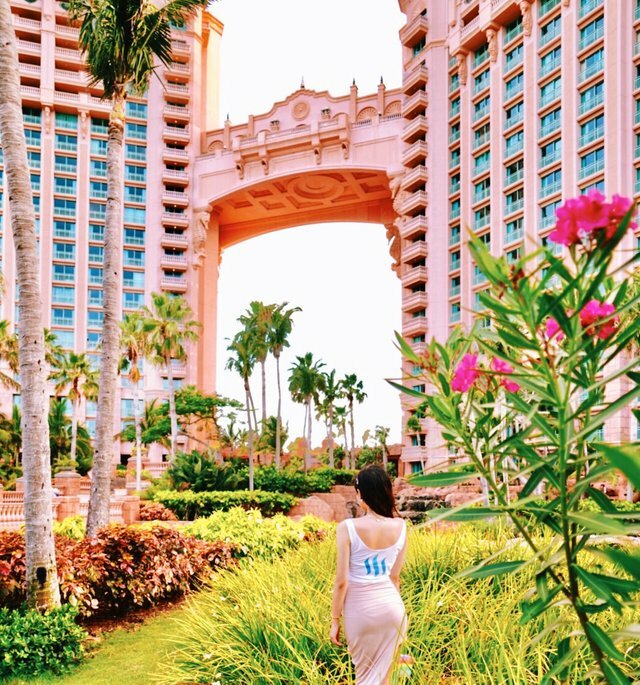 For people who are on a smaller budget, the Beach Tower offers guests wishing to spend cautiously, a surprisingly uptick outfit, sharing the main amenities the Atlantis resort has to offer. 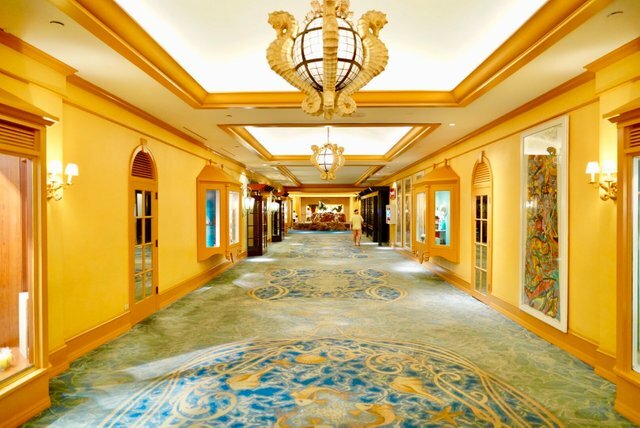 It is actually connected to the Royal Towers via a long passageway linking the two Hotels. 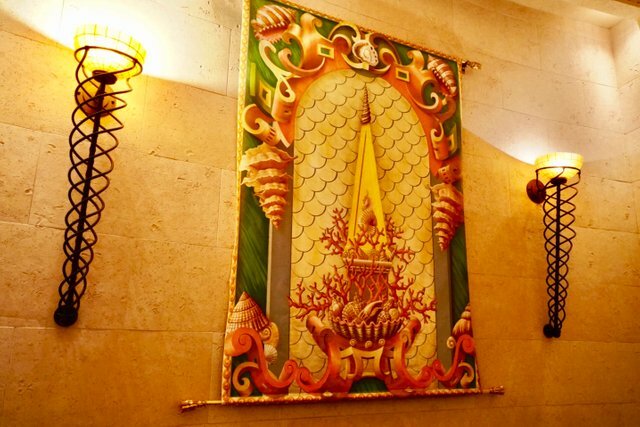 Along the passage way, we have plenty of luxurious looking decorations , always in the theme of the aquatic Atlantis. Apparently the Dolphins are the Beach Towers preferred mascot. We've already seen them at the fountain in the middle of the passageway, and again at the drop off entrance to Beach Towers. 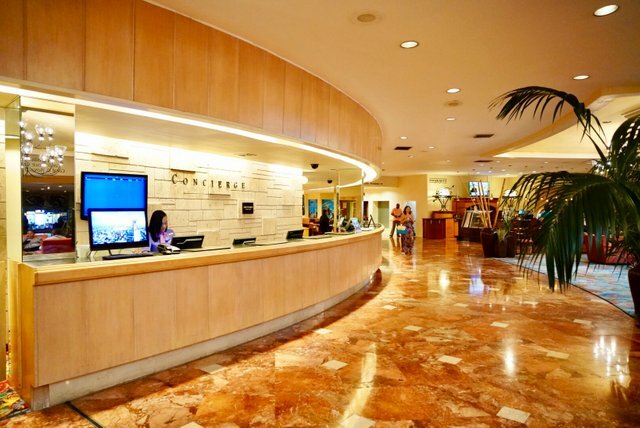 Some of the services inclusive of the your stay at the resort can be found at the Beach Hotel Complex. 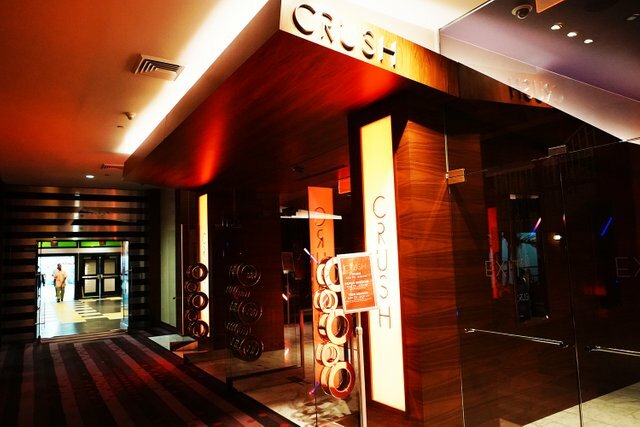 For instance, there is the night club called Crush. Open every night from 10pm through the night, it's quite popular among the younger crowd. 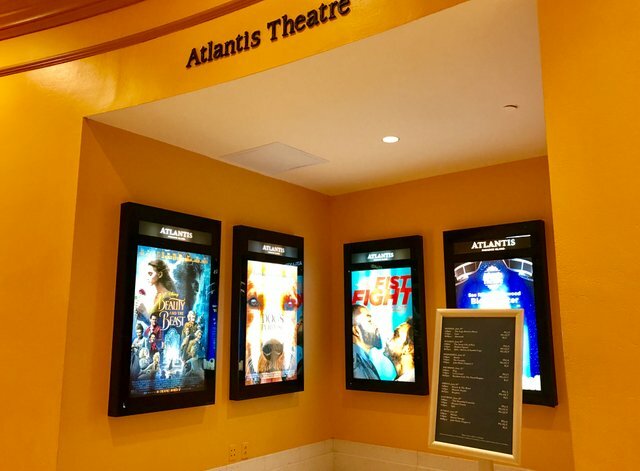 Atlantis also has it's very own movie theatre showing many of the latest movie all for free to Atlantis guests! 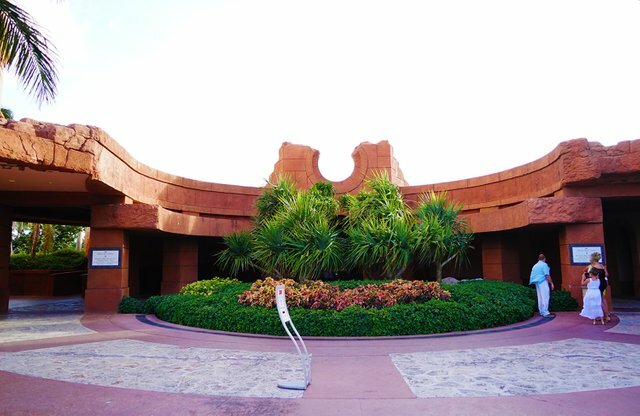 You'll also find the tourist centre just around the corner from the theatre if you have any general enquiries regarding your travels around Bahamas. 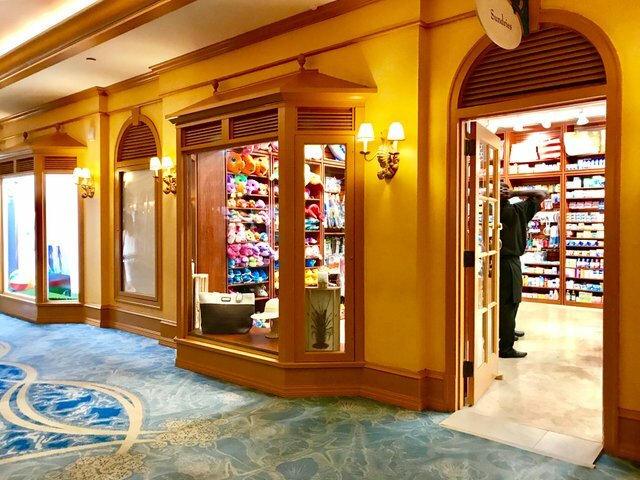 There is also a small section along the passageway for gift shops. 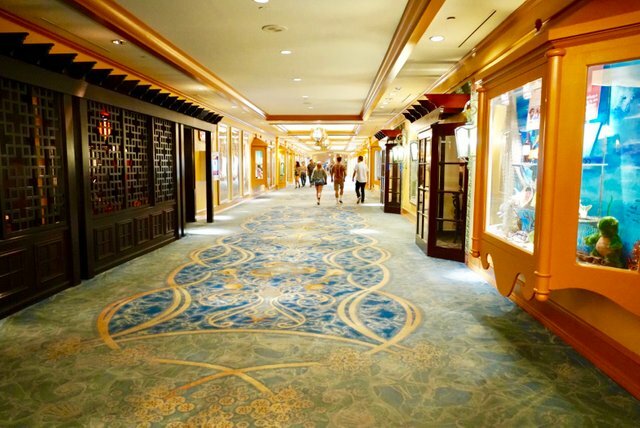 Here you will find the Atlantis souvenir shop which sells many collectables, branded items, and souvenirs. You'll also find a luxury jewellery store called John Bull Ltd. This is the most well known jewellery re-seller in Bahamas, and you'll find many of the common high end brands there such as Cartier, De Beers, Van Cleef & Arpels, Harry Winston to name few. There is no sense that the Beach Tower is a lower tier offering, just a different flavour, different design. 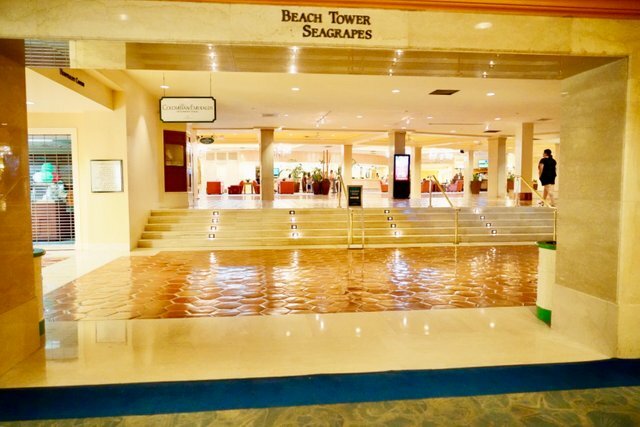 It helps that the Beach Tower is connected to the Royal Towers, creating a natural feeling cohesion between it's guests and the mutual services provided. 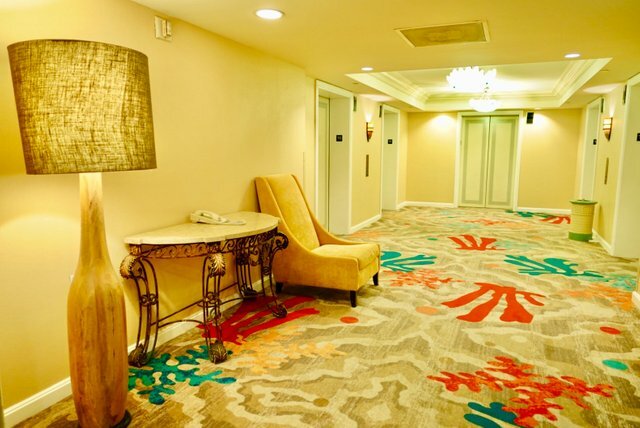 As you can see, the main lobby for the Beach Tower is quite classy and very spacious! 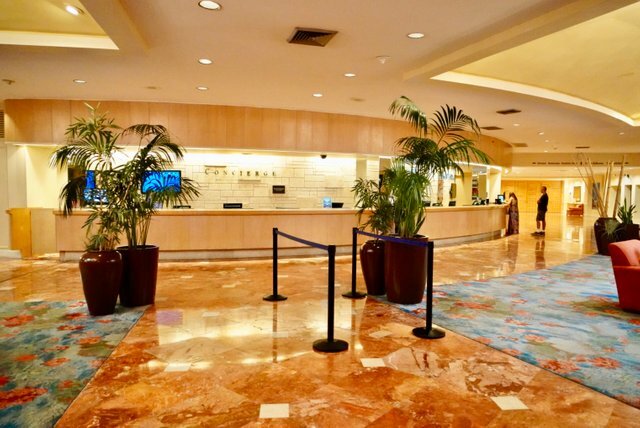 Lovely shiny marble flooring, and well lit studio lighting make the lobby very welcoming. One of the unique aspects of the Beach Tower is actually not the tower itself! It is in fact the villas beside the tower tucked in between the smaller water pools and aquariums. I arrived at around midnight to find the villa area well lit and arranged like a small settlement village.Each building occupying it's own angle, space and unique design to complement the lush landscaping. 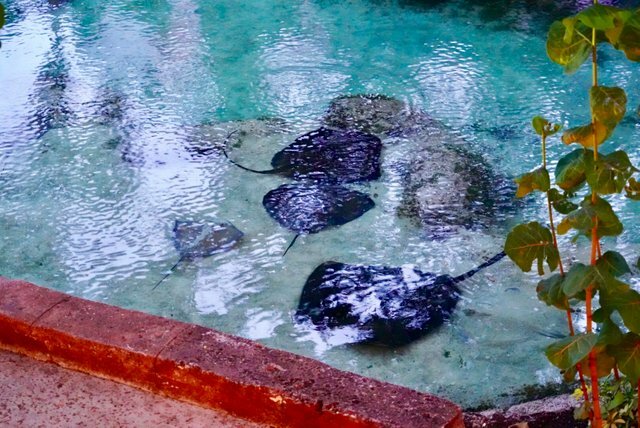 I was very surprised to see Stingray's just beside path leading to my own villa. It's not just one Stingray either, there are about a dozen in the pool just outside my villa. My room was on the first floor (above ground level). Let's go in and take a look! As I walked in, my immediate thought was how spacious the room was. Space for two double beds, a large shoe cupboard with a TV on top, and a cute little tea table beside it. I wasn't expecting ultra high end room fittings and that's exactly what they provided. The essentials in a neatly presented room. You can see they've even opted for the ceiling fan light instead of the air conditioner. In the corner a complementary drink of bottled water, above the mini bar. The mini table just large enough to accommodate me and my small laptop for some Steemit blogging. 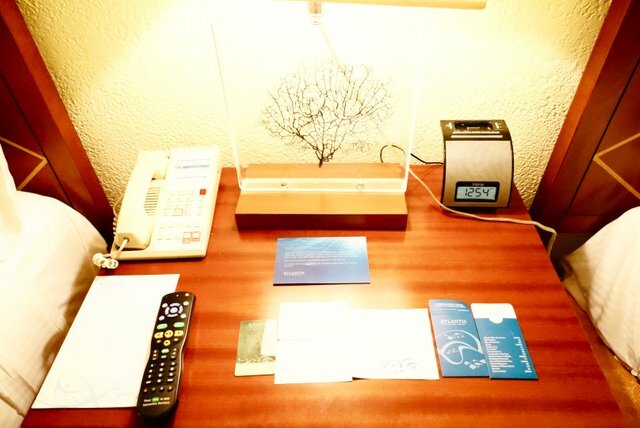 The bed side table has the usual telephone, lamp, and alarm clock which is compatible with the old generation ipod/iphone connector type. 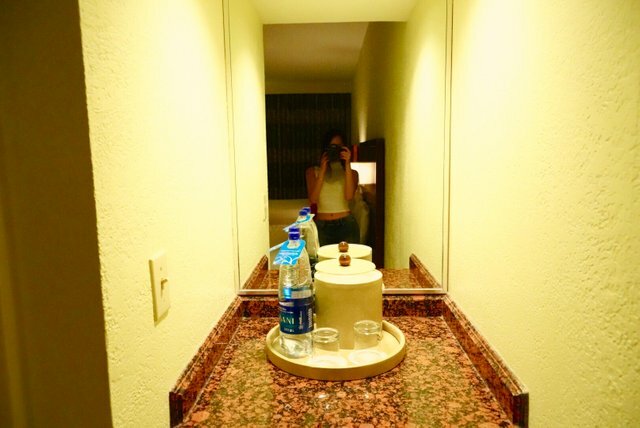 You are also entitled to two bottles of water from anywhere in the resort through redemption with the coupon. The cupboard is quite small given the size of the room, but it is certainly large enough for myself. Like the bedroom, the bathroom is quite spacious and it makes me wonder if it's meant to be used by more than two people at a time. 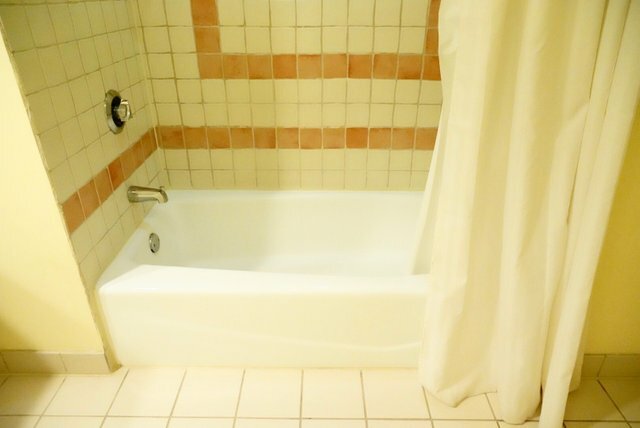 It's strange how the bath tub / shower is so small, and yet the bathroom itself is quite large. There seems to be quite a bit of space redundancy here. Not that I like to feel spatially challenged, so the right balance needs to be struck somewhere in between. 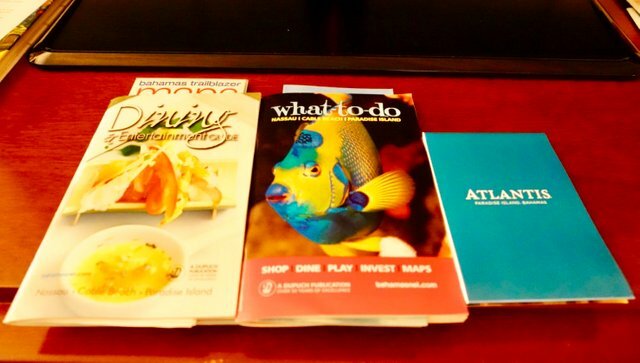 In the room, there is a full directory of pamphlets showcasing all of the activities available not only at Atlantis but in much of Bahamas. This was a really welcome addition especially since I planned to do my research the first night I arrived. All the information was well received and by the time I looked through them all, I had a pretty good idea what I was going to do for the next couple of days. So many times we've visited this building in the past month, and each time, I couldn't speak highly enough of it. 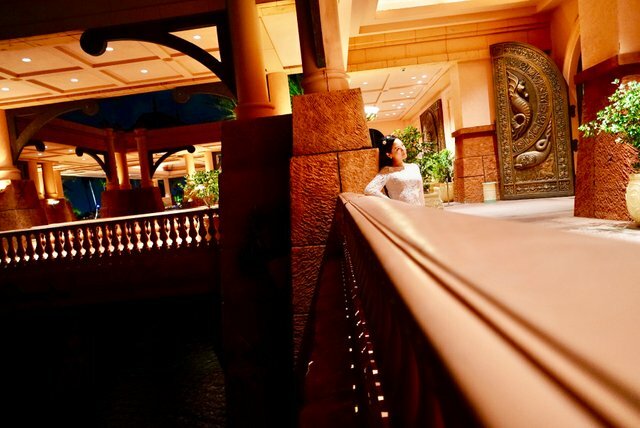 As the signature hotel of the resort, there was never any doubt that the Royal Towers would be everything you could expect and more. 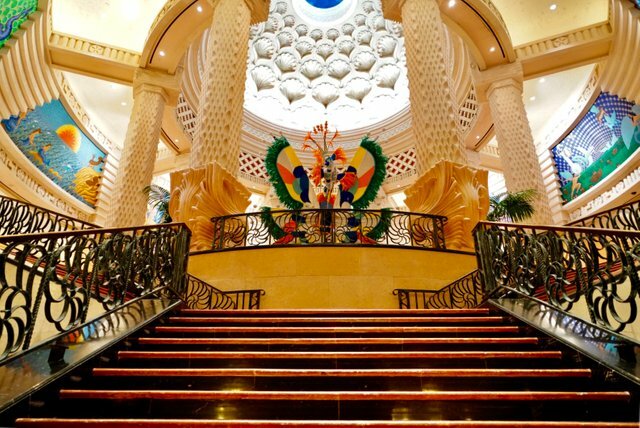 The architecture is so iconic and the first impression you get as you walk into the main lobby is just how grand the place is. It truly feels like a place for Royalty and thus it's name is appropriate. I often felt out of place here because I'm of course not of royal blood, but then I remember that neither is anyone else. We're all very fortunate to experience royal treatment at very reasonable if slightly expensive prices! The waiting area is just pure comfort! The Dig Entrance is just ahead from the main Lobby and down the steps to the lower floor. Poseidons Table - Epic godly all you can eat restaurant! 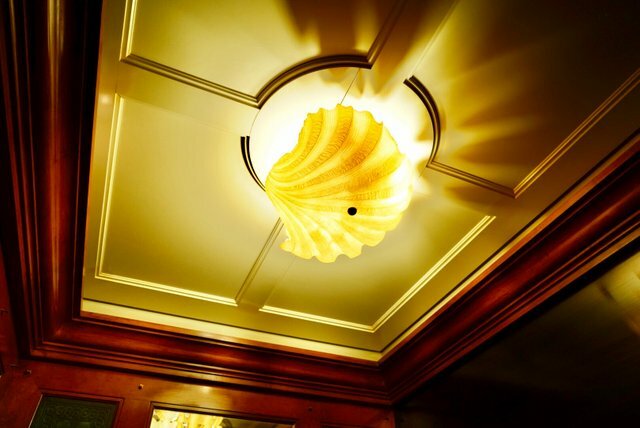 A seashell on the ceiling of the elevator completes the theme. 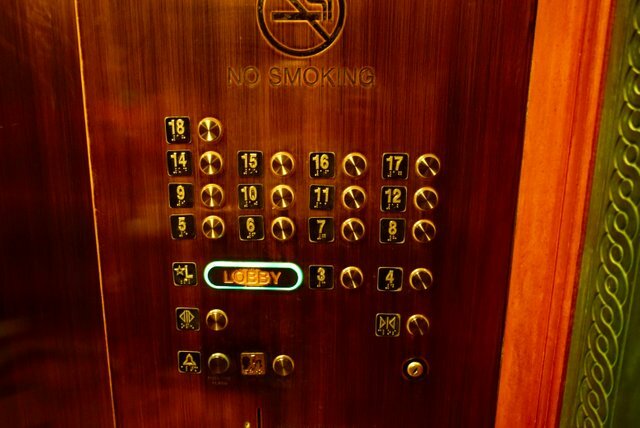 I love the rustic antique feeling of the buttons. 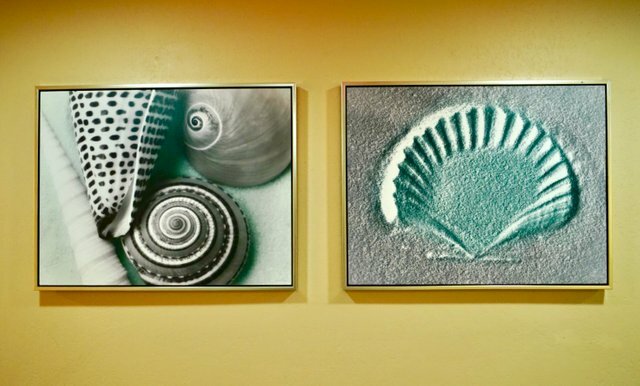 Arriving on the right floor, I was not surprised to find a very empty corridor with more seashell themed paintings hung on the wall. On the floor, the carpets are like coral reefs with seaweed and various other sea plants. Remarkably, the room feels very similar to the Beach Tower Villa room. Inside you'll find a rectangular layout with a (single) King size bed instead of the rather redundant pair of Double beds. The furniture is definitely more tidy, you can see the difference in the varnish finish on the wooden furniture. As you can see, they like to put the TV on a large central shoe cupboard. This time, it's is aligned right in the middle of the bed instead of awkwardly off centre. The decoration is simple and consists of just few paintings hung on a plainly painted wall. 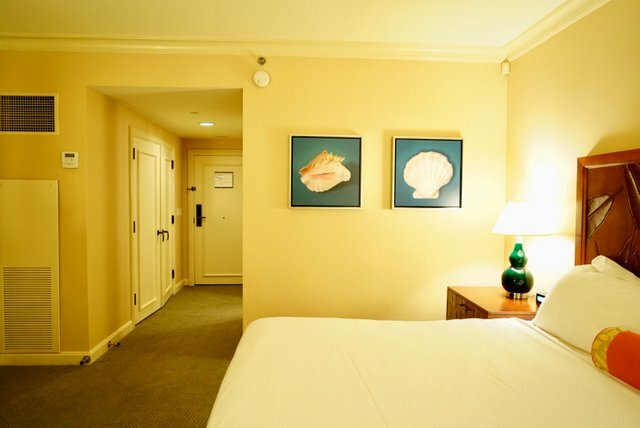 Here you can see the famous Conch and Seashell hung on the wall for the under sea effect. A large draw of the room is just how wide the window doors are. They are the entire width of the room meaning during the day they can let in a lot of natural day light. Likewise, at night time you have a very wide view of the night scenery. Next to the TV, we have one of the larger tables which comes occupied by a coffee / tea maker. Being the larger of the two tables, this one became my desk for my laptop and Steemit blogging! I was so lucky to get a room with a view of the harbour. At night time, it faces down town Nassau so was quite a treat to the eyes in terms of night time city lights! I must say, I was surprised to find the TV to be the same as the one from Beach Towers. For the distance it is away from the bed - the only place you can watch it, it's also rather small. Still, it is forgivable because I wasn't there to watch TV and I suppose very few other people are as well. 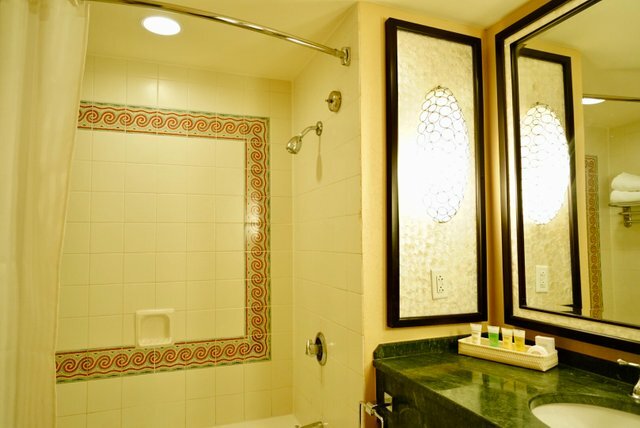 So, how does the bathroom at Royal Towers compare with Beach Towers? It's definitely smaller, for a start, but that is actually somewhat welcome. 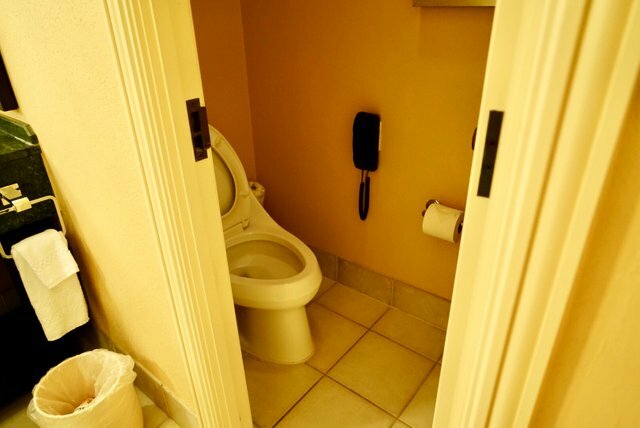 I feel like the usage of space for the bathroom is very optimised and everything is within reasonable reach. No unnecessary striding to get from the toilet to the shower or wash basin. The toilet has it's own modesty door to allow for someone to use the shower or wash basin whilst the other uses the toilet. 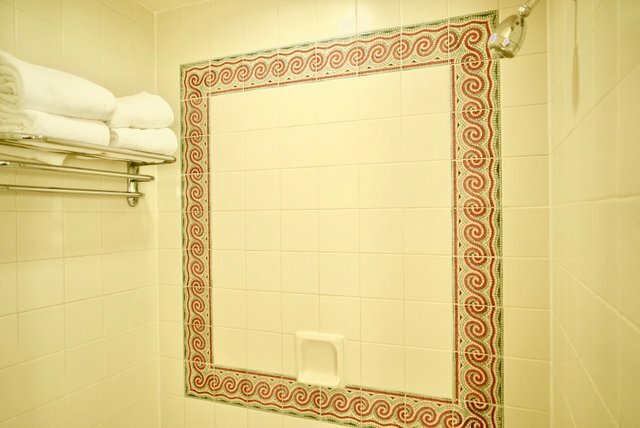 Notice how the bathroom tiles here are very neat and perfectly aligned. A small but noticeable detail that makes the Royal Towers just that little bit more aesthetic. The shower area also doesn't feel ridiculously small because the rest of the bathroom isn't too big. This is a good example of designing with efficient proportions. 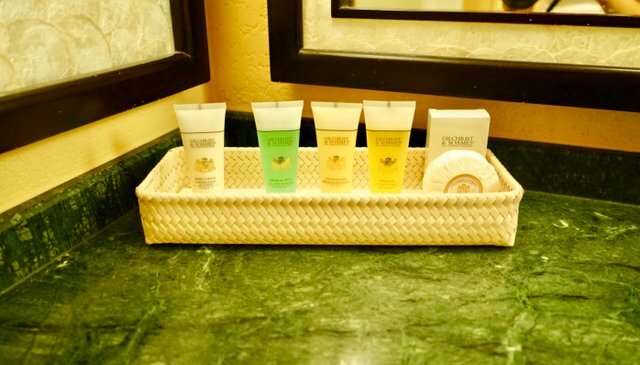 All the shower and bath utensils are provided meaning you don't need to use your own if you don't mind using the hotels. The clothes cupboard is slightly bigger and less cluttered. 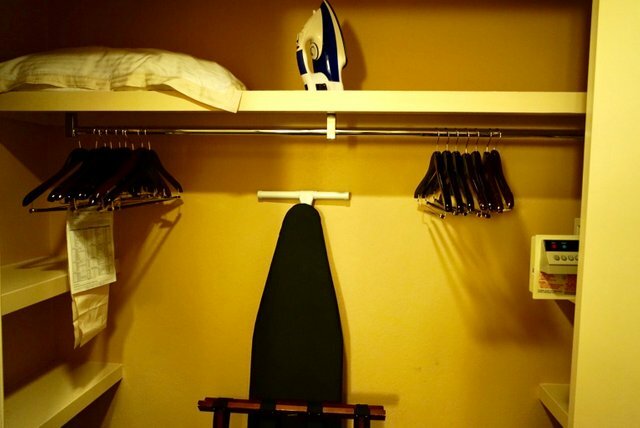 A really nice number of hangars are provided s well as a solid ironing board. There's also a safety deposit box for keeping your valuables safe. For me, the real winner of the Royal Towers is the terrific views! 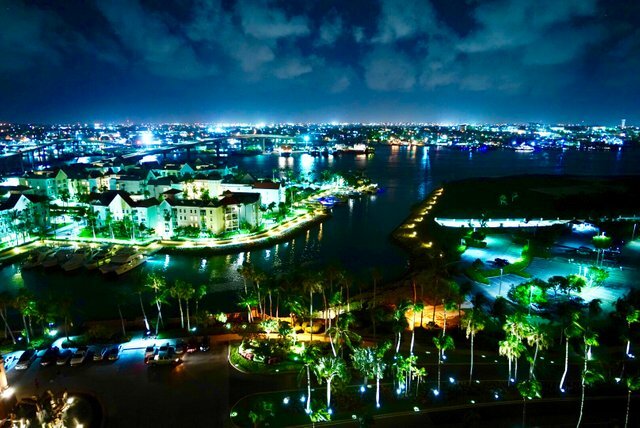 Like I mentioned earlier, the night time view of downtown Nassau and Marina Village is absolutely majestic, it's like a private light show! During the day, the view is equally beautiful with even more beautiful colours to enjoy. I must share a secret.. If you take a picture with stunning background scenery, it makes the photo subject seem easier on the eyes! And finally, a wide angle shot of the day time view from my room. And that wraps it all up! 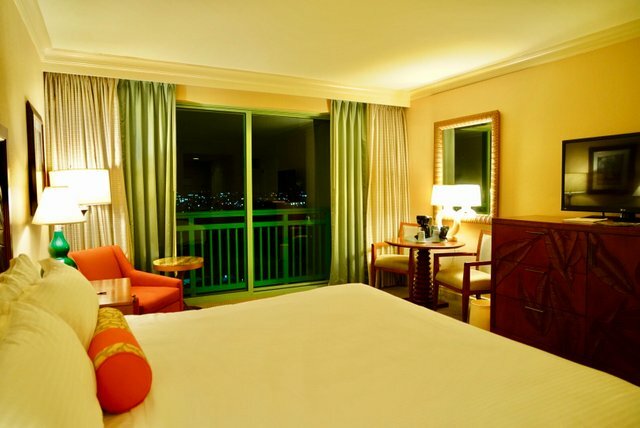 The Beach Tower villa and Royal Towers room put side to side and compared. Although the Beach Towers is significantly cheaper, it is also significantly more basic. 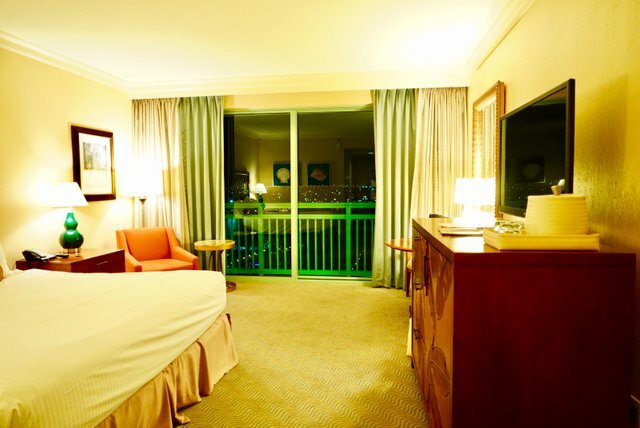 That is itself not a problem because most of your stay will not be in the room, rather spent at the fantastic inclusive amenities and facilities of the Atlantis resort. 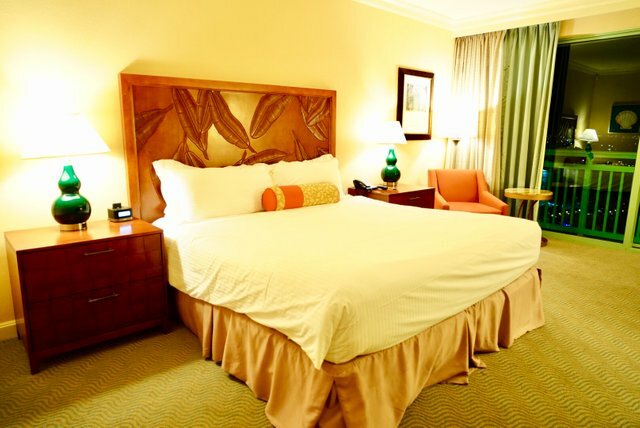 It'll be up to you whether you want to fork out 1/3rd more for the luxury upgrade to Royal Towers where the room will be noticeably better, but only if you plan to spend more than sleeping time there. Remember, all the Hotels at Atlantis include access to the Aquaventure park which itself is $135 per day. 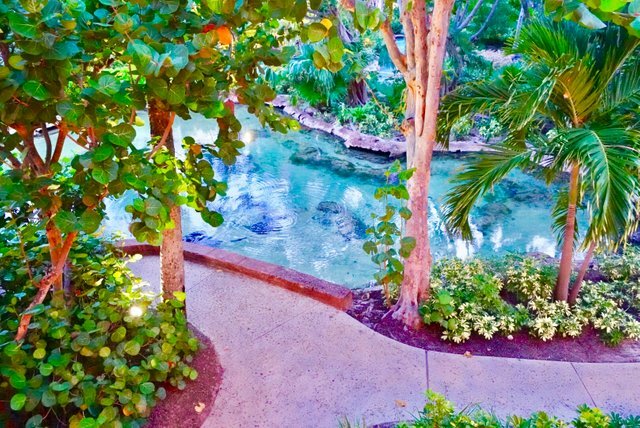 It also includes access to The Dig, the various open air aquariums like the Predator Lagoon, as well as the free movie theatre and access to the private beaches and pools. For those less price conscious, the ultra luxury Cove at Atlantis is another option that is suppose to be even better than the Royal Towers. I will have to leave that review till my next visit! Thank you for taking the time to look through my last post about Atlantis. If you enjoyed it, please give me an upvote, I appreciate that very much, do remember to follow for more travel journals, and leave a comment to let me know what you think! P.s. I have recently started my travels to a new destination which is why I've found it hard to post regularly. Thankfully, I should be able to get back to regular posting and a reveal of my new destination the post after next! WOW @sweetsssj You are quite a Genius who would have thought that you could use the Daily STEEM Rewards to travel to such amazing places in the world. We are going to start Travelling with ADSactly in the near future. 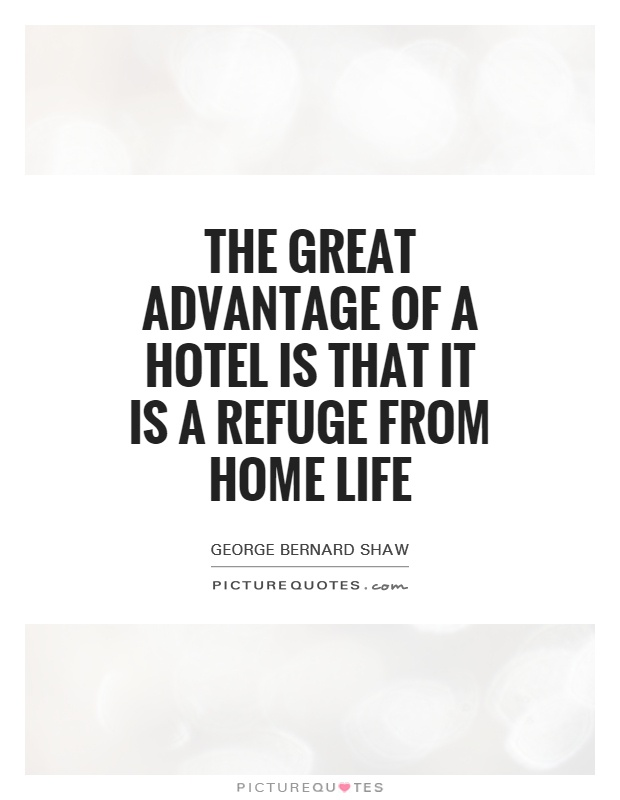 In your Personal Opinion which "HOTEL" did you enjoy the most and Why? Which would you take @adsactly?? I would go for the Royal Towers of Atlantis because I like Royalty and Sovereignty. thank you adsactly, i have followed you. It's great to be able to share your travels with a community which incites discussion and positivity. In reply to your question, I think the Royal Towers was the most enjoyable for me. 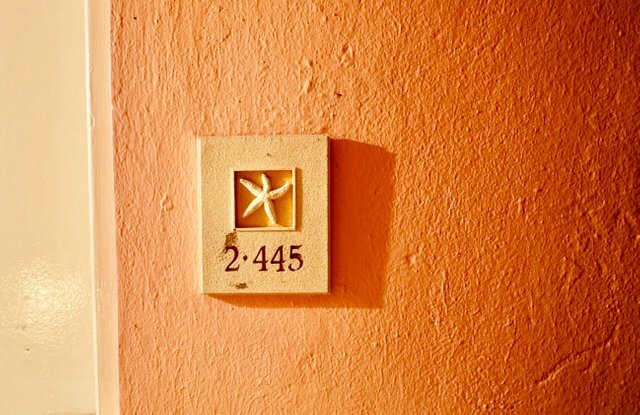 There is an immeasurable quality in a hotel outside of the quantifiable metrics, and that's what make people pay the exorbitant amounts of money to stay at places like that. The Royal Towers make you feel like Royalty, and for a couple hundred bucks, that's rather cheap for the treatment you get, wouldn't you say? Just discovered your post - If you had a choice, money agnostic and could go back to anywhere you have ever visited. Where? Looking for a magical place for 7 days for an upcoming anniversary that the wife would love. Thanks for sharing your travels. Seeing what Atlantis has to offer has been quite a show. I'm excited to see where you will go to next! wwwwow!!! you get 71 USD in your comment with just 4 votes??? :( what am I doing wrong...? Haha he has over 600K Steem Power.. LOL! His vote is worth easily over $100 at full power. Who this lucky person you travel with? This post received a 4.5% upvote from @randowhale thanks to @pastzam! For more information, click here! ps. Awesome pictures, thanks for sharing. Yah, you are right man. All these picture are for real. 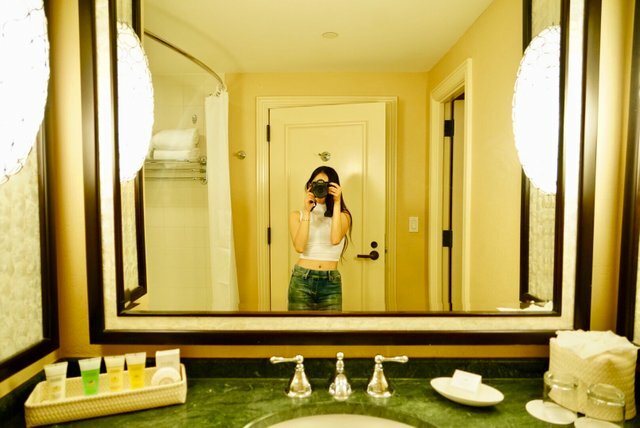 Nice picture of the hotel you got there baby!!! Beautiful women are out of this world. They are like goddesses. These are from Dubai. not photoshoped. Yup but these places are nothing . If u want to explore the beauty than i think u should visit pakistan. Not beauty, Revise your comment. If you want to see Dirty Politics, Visit Pk. Imdad accept it, Sach Karwa hota ha...That country has no more beauty. Beauty comes from the heart of people. Country is made of People. If you have dirty mind and heart that you no longer ....... so look around u. do not speak of PTV news. Open your eyes. Go outside. LOL u think that pakistani has dirty mind , fake politics hahaha i think u don't know about pakistan. U seems to be just worm of social media. I suggest u to get out of this social trap and search for the reality . U say about politics , so don't u hear about what happened in america i mean that trump . and also in india that moodhi. U don't know anything man . I have not seen your post for a long time. I always look forward to every post you. Because your post always makes me happy. I really want to be able to travel like you, hopefully my wish can be achieved. 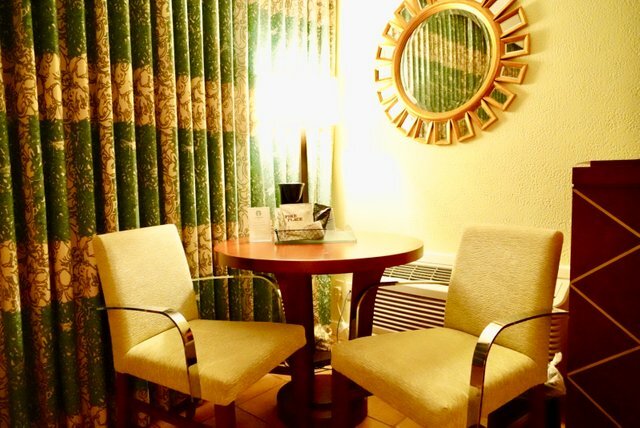 I will await your discussion on how to choose a good lodging place while traveling. One more thing I want to say, I really like every picture you display in your post (amazing). Hopefully someday you can visit my area. Your Work is inspirational @sweetsssj You take so much care and pay so much attention to detail. And OMG it must of taken ages to make this post??? do you time your self at all? how long did it take? Also what do you resize you images to? Finally I am new to steemit and love my photography so I have taken a page out of your book and started my own photography series, I think you will really like it please have a look. Nice wrapup article about these amazing hotels, your review and your method of analysis is hard to find. The pictures of the hotels are lovely. Your right the size of the bathroom looks small compared to the large size of the room. Is good to here from you again, I was worried that you have not posted for a while now. But now I have known the reason for that. Wishing you the best in your new location. Nice article as usual. I have miss you. Upvoted. thank you hynet! I have missed your comments too and thank you for always making the time to leave a comment. I'll be sharing my newest travels very shortly, this was my last post on Atlantis, and the next will be my last about Bahamas (for now) so after that.. blogs about new place! Okay that is cool. i am glad to hear from you again. I really missed my dear @sweetsssj. we will be waiting for the Bahamas wrapup and the new location . Very good post @sweetsssj and very interesting. We have the same hobby, I also like to travel. So I am very happy to follow your posts and I always wait for your next posting neighbor travel .... I really like the place that there dipostingan you, I dream to get a vacation there ... the place is very beautiful and very suitable for holidays and Can enjoy the beautiful scenery ... mrs @sweetsssj you are very beautiful and you are also a great woman and success ... I am amazed with you. Glad to meet you. dear sweetest @sweetsssj you post an important information that traveling is should be well prepared, where we stay, what to do and how to manage the budget as well. for me the royal tower is really really got in to you, it so much suitabla for you as an elegant, glamorous, hot and so much beautiful girl. the royal tower is so impressive with the interior and exterion with classis design, it's the best one. lucky you can stay there and having you amazing holiday. again I wanna ask you to visit my blog, I just post a photo of amazing sunset that I shot in and island, by the way I had a trip to and island a few days ago. check this out please. thank you @sweetssj for the post. I already upvote..!! What a cool play how much was it per night to say there? Very nice pictures as always ! 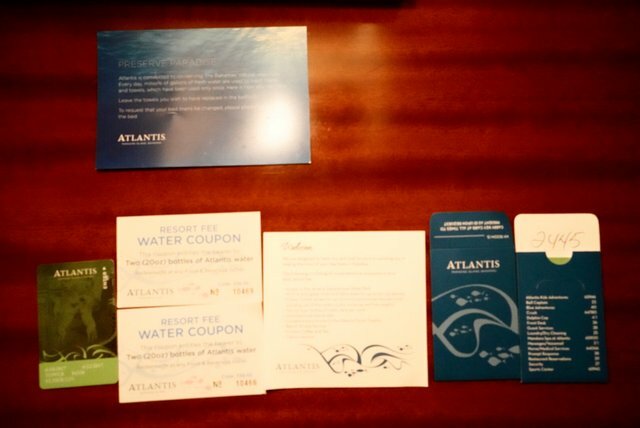 this was a stunning photographic tour de force of the Atlantis resort and not just a side by side comparison of the amenities of two hotels. 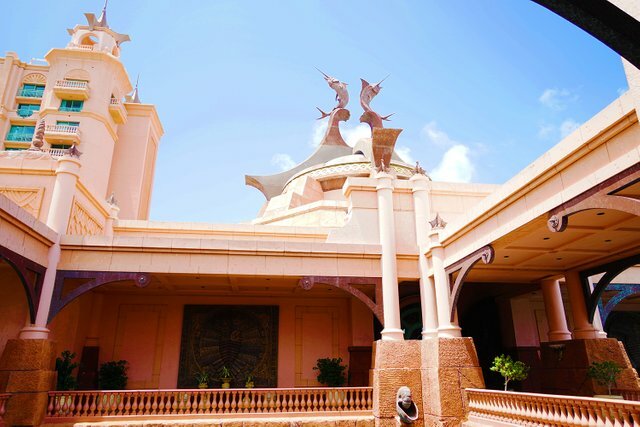 What makes the Atlantis resort appealing is that it provides alternatives for each income level while offering a common experience of many of the most popular attractions such as the aquaventure park, open air marine aquariums, and lush exhibits of wild vegetation. 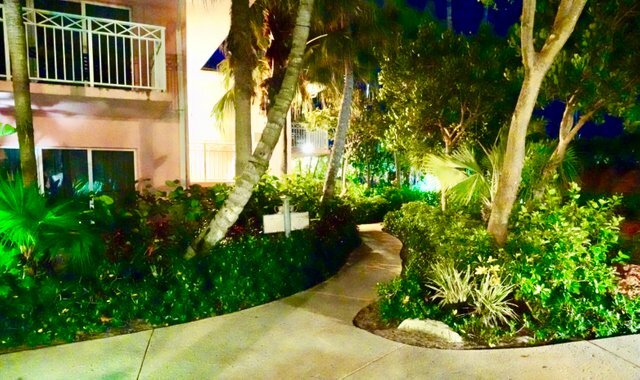 I think assessing the offerings of the two hotels allowed the reader to review some of the outstanding features of each, and the decision to focus on your room in the Beach Tower villas and then compare it to your suite in the Royal Towers was very helpful. 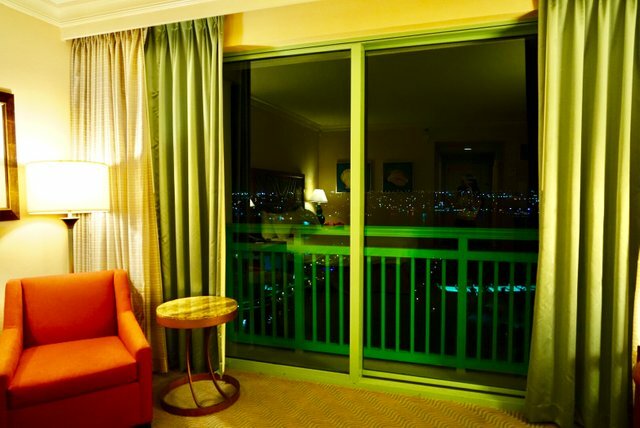 Apart from the price difference, I too would prefer the Royal Towers simply for the night views of the Nassau skyline. You made a nice segue into your next post by mentioning that you will review the ultra luxury Cove at Atlantis. 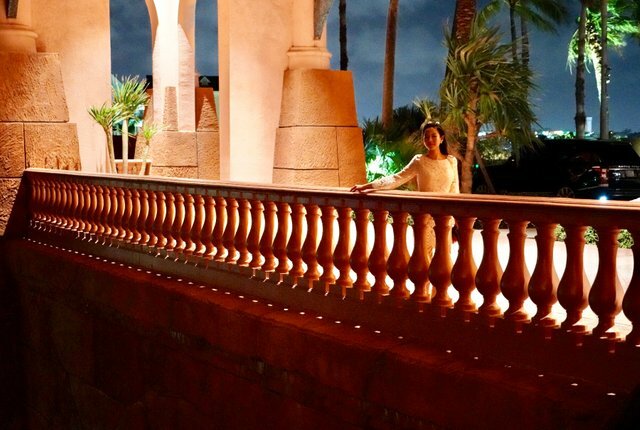 For me, the connecting bridge between the east and west wings of the Royal Towers summed up this resort's attempt to cater to all income levels and tastes while providing shared, communal experiences. 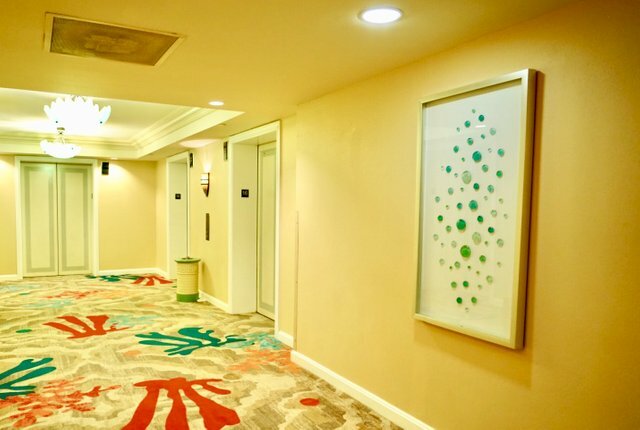 I noticed that many of the foyers and hallways seemed relatively empty of people and I was unsure if that was because of the hour when the photos were shot, or the sheer spaciousness of the hotels. All in all, an excellent review of these two experiences and regardless of which hotel was chosen, each one was a winner. I love your work, I feel the passion you put to do it. You're amazing! Thanks to you for your sharing, although I see that despite you having a big vp, you don't use it for the minnows that support you. I was hoping that you to follow the tips of @donkeypong. However, I really admire your work and I will continue to upvote for it! Sorry, I was hastening to judge you. I designed the logo and then bought the shirt i wanted then found a place to print , all in China! You are welcome @sweetsssj . I made exotic because the concept is very suitable in the beach area :D.
Beautiful post! I feel like i'm there. Thank you for sharing. Hi @sweetssj great post again and thank you for inspiring all of us. Did you know that the more you upvote peoples comments the more you will receive steem power on the backend? I just learned this and have been helping upvote and comment a lot more. Seems to be a great strategy even if your starting small. Beautiful photos, are the best. Always visiting the nicest spots! Some amazing views. I would be happy with either hotel! Looks like an amazing trip. thanks grizgal, obviously i liked the luxury Royal Towers but for the price i'd be happy with staying the majority of time at Beach Towers. 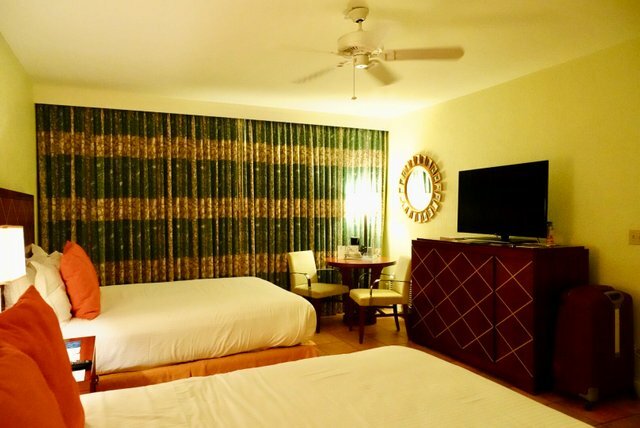 The Beach Hotel appears to be quite a place even if it is modestly priced as compared to the Royal Towers. 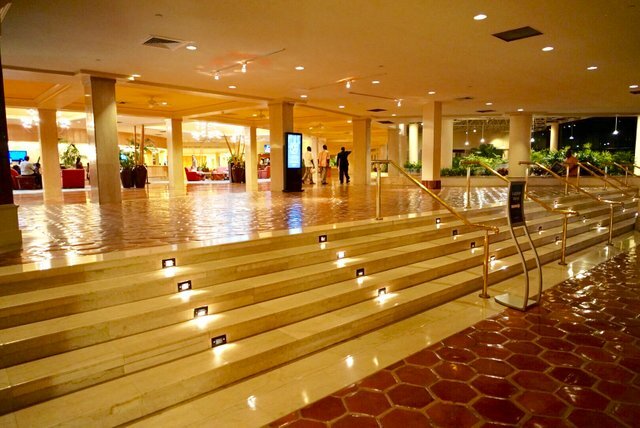 The lobby and corridors are nicely lit and decorated. The sea shell paintings theme is very appealing. 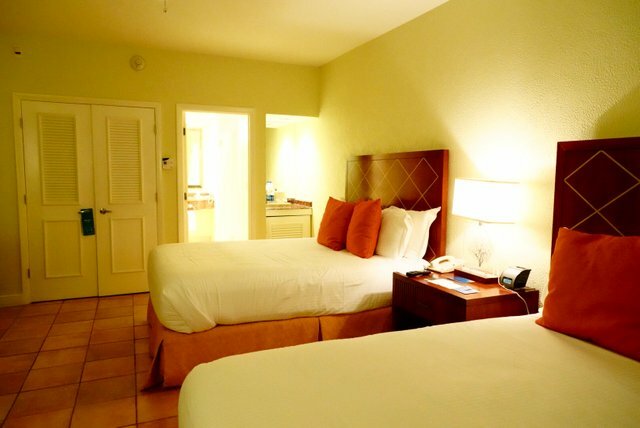 You have provided a great review of the room space and amenities, including a comparison of bathrooms. 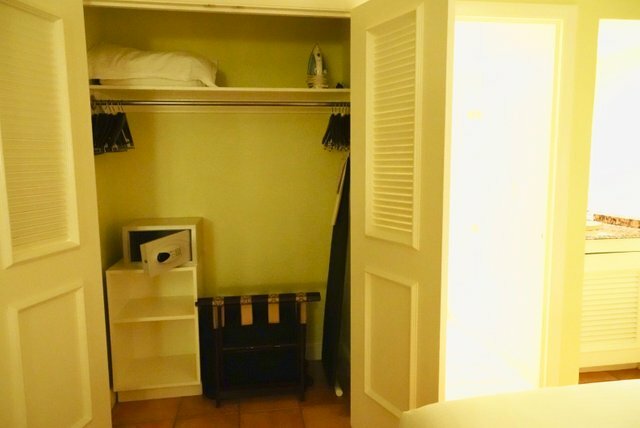 Since I am a frequent traveler, I do understand the value of the room space, comfort of beds and the bathroom structure. 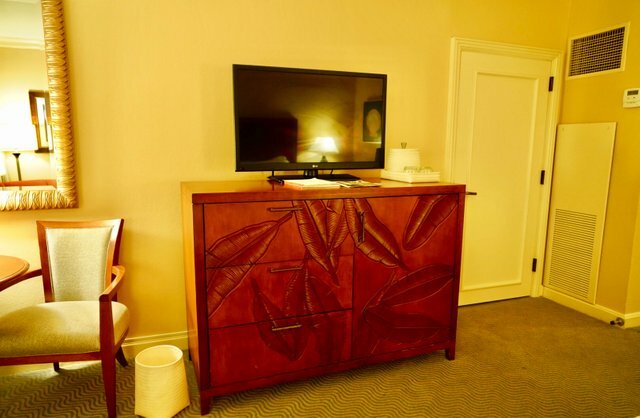 Your review provides all those details and the rooms look very appealing. Last but not the least - I do not agree with your statement that the subject looks better if the background is very scenic - In your case, in that picture, I hardly looked at the scenery before I noticed you in the black dress and forgot about scenery!! LOL. You have a lot of photos...Shout to your photographer though who ever he/she is has mad skills! I'm always going to love those high quality full of color pictures! 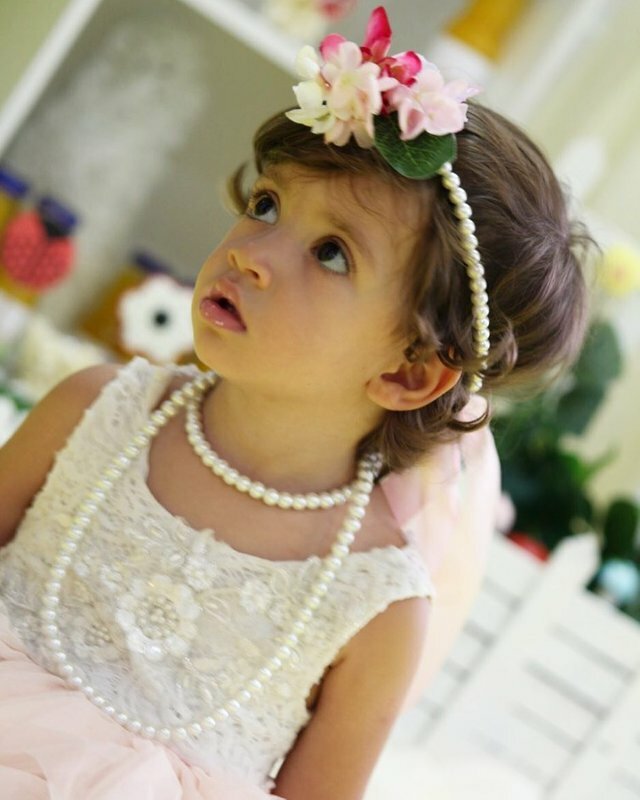 congrants @sweetsssj amazing pics. 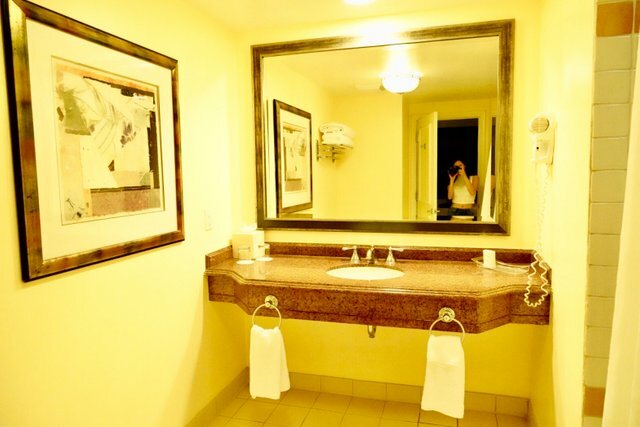 Which camera were you using at the bathroom? I was using the Sony A9 for that picture, and same for most of the other pictures! i will visit atlantis within a month, thanks for sharing. That place looks wicked beautiful! Sweetsssj, the image in the mirror fascinates me. Also, your handbag fits perfectly to your top and earings! You leave me no other option... I have... to... hit... UPVOTE!!! And RESTEEM. Wow! Either your camera is really good or that hotel just looks like paradise! I think the hotel really does look great whichever camera is used to take the pictures! If you don't mind me asking, what camera do you use to take the pictures? Awesome $5,000 Camera! Great pictures and blog! Look forward to your next adventure! Too bad Samsung got out of the camera business, after they threw the NX1 on the market. If they had made a full frame version of it, with the specs of GH5 it had blown out of the water any other Pro camera. I want to see next Time more from this stunning Place :)!!!!!. Beach Hotel and Royal Towers are a must but finding it difficult already to choose! Nice scenery...great info to share...! even late must surely find your post and comment..had been quite busy lately...so whats the next target location? oh you do?? thank you so much haha! I do love wearing it actually. On my current trip i've been wearing a steemit t-shirt non stop! You´re killing me with these beautiful locations! Anyway the royal towers are my favorite ! Me too...the images are a killer...so do you plan to visit soon? i would love to see you travel in the Philippines, we have a lot of Beautiful place here. The royal towers truly are royal. Dear @soldier, you could probably compete with @sweetsssj and post some great posts with some great photos as well. You can probably kill it too. Steemit. New home of the Asian Hotties. Who knew! Thanks for pictures, I'm traveling vicariously thru people like you. That is a lot of detail in these places and either one would do it for me, but I'm sure my kids would have a different opinion, lol. 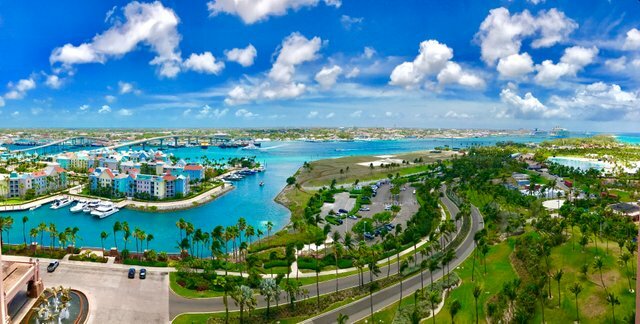 thank you newschannel428, this is sadly my last post about Atlantis, so just 1 more post about my travels in Bahamas, then i'll be introducing you guys to my new travels which i'm currently at right now!! Really like your pictures and the article. However, for me places like Atlantis are way too artificial so I cannot enjoy them much, but that is just my opinion. Still, I hope you enjoy your time there. I mean you definitely have game... you do more in a week than many people do in a lifetime! luxury jewellery store is beautiful !!!! Very beautiful photos 😍, I also want to want to like it @sweetsssj. Looks like quite a trip you took to this amazing place. Your pictures really make the reader feel like their right there with you. Lovely post!! thanks jamie-smith! can get a little busy with so many pictures sometimes! Which hotel,..... where did you feel the most happy, welcome and appreciated? There you find the answer. Enjoy the little things which make it more fun. 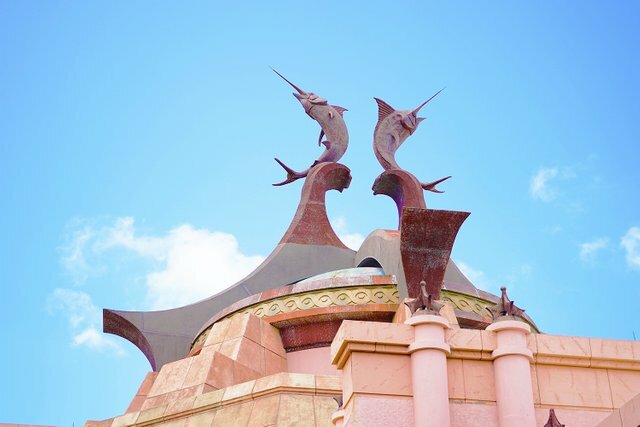 WOW...these blogs make me wanna jump to Atlantis right now.I I always love how you narrate the whole blog in such detail and with so many amazing pictures.My personal favorite would be the Royal Tower. Nice comment...d blog by sweetsssj makes me wanna head to the Atlantis resort too...nice choice of hotel...so why the Royal towers? Let's check this on our we are signing up with your link. Feel free to follow us we just Upvoted this Post with 100% of our STEEM Power. really amazing , whenever i see your post , you add something to my travel goals, awesome you are. Combination of luxury with nature, very dynamic .. Really lucky you @sweetsssj, can enjoy it and gain experience about traveling. I love the full information that you present in the post. Hope I can also enjoy it in time, of course still with Steemit! Hehe ... Take care of health, to keep working, and enjoy your trip, hopefully we can meet in Indonesia later :). We are waiting for you. Have nice trip! A very beautiful view and a very soothing atmosphere, very fitting for a long-term vacation. This is also fitting for a holiday with a dear family. Both options are fantastic from what you've shown us. haha, thank you sandstorm, i have to keep a 'delay' of a few days to minimise people coming to hunt me down! Have stayed in all three towers over the past six months. All are perfectly fine. We prefer the Coral Towers as it is more centrally located, and with balconies. Beach Tower (our first stay) is on the extreme eastern edge of the property, and let's just say, its a long walk back and forth, feet were killing me. 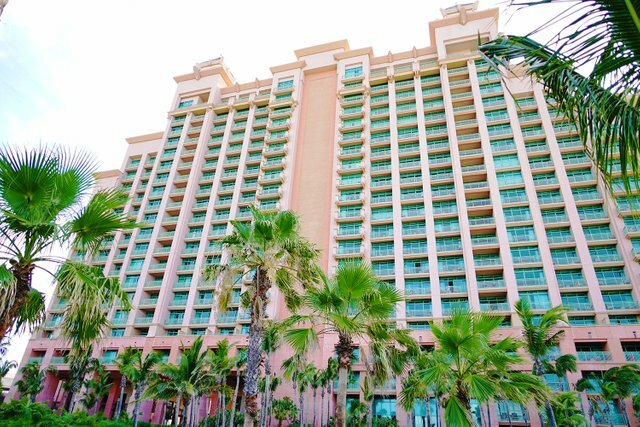 The Beach and Coral towers are the two oldest at Atlantis, but are well maintained. Last "stay-cation" we were in the west Royal Tower, again very nice room, but no balcony. Regardless of which you stay in, your going to do lots of walking. A couple of tips...Don't pay resort prices for drinks, stock up on beer, wine, and liquor at Bristol Cellars across the street from the Marina Village. Stock up on bottled water at the mini mart next to Bristol's. BYOB to the pools and beach, just no glass. And if your gambling, get a casino players card, as they give new members $100 free slot play. Why are you renting a car??? The parking garage is a good walk, gas over $5.50 per gallon, and its not cheap to park in the Atlantis garage. And I won't even start to mention driving here. these photos are amazing looking at the architecture wow, seeing them in a photo is one thing but experiencing it is another . you summed it up really good one of these days i plan on visiting and now i know where my price ranges. You are very pretty and attractive Dear. thank you hector, i shall take a look and leave a comment! @sweetsssj Thanks to you too, I love you so much, you are the most beautiful, your spiritual greatness is even greater, blessings for you and success in everything you undertake, I admire you! Wow, definitely this has been added to my TODO list. Every pic looks stunning and gorgeous.